Where can I get accessories for MikuMikuDance? Rocking Chair accessory for Miku Miku Dance. 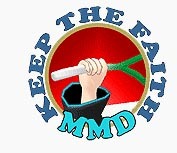 New MMD Rocking Chair Accessory Ready to Download! 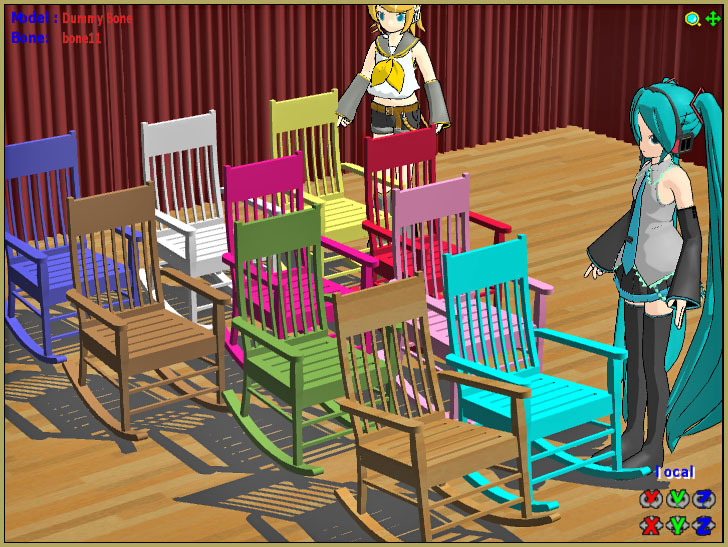 A collection of TEN rocking chairs is ready to download for use in MMD productions! 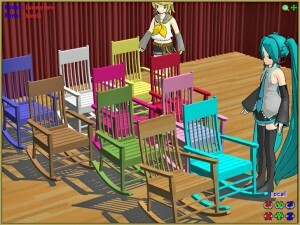 Nine of them have brightly “painted” surfaces (including one that is “Miku Blue”) and one chair has a wooden finish. I created these models from a 3D model I found in the Sketchup 3D-Warehouse … a model by Sketchup artist “fridal8”. I resized the chair and added the various colors before converting the Skecthup model into a DirectX model for MMD using the 3D-RAD plugin within Sketchup. The chair should be mounted to a Dummy Bone. The attachment point I provided allows you to rock the chair on the Red axis. Sweet! DOWNLOAD the Rocking Chairs. Have fun with ’em! I can’t download this rocking chair accessory. I have absolutely no idea where the download button is. I’ve been searching and clicking the “DOWNLOAD the rocking chairs” link over and over but it just takes me to your downloads page, which actually does NOT have any download link that I can find. If you could include a tutorial for this site, that’d be nice. But for now I just want this accessory. How do you download it??? Just click the pink tile button there… the picture button… like all of those downloads, clicking the associated button for each item will start the download. … I just tried it, myself… it works!